The field of psychology in Brazil characterizes by a multivariate and pluralistic understanding of science and profession, by influences received at different times from Europe and North America. 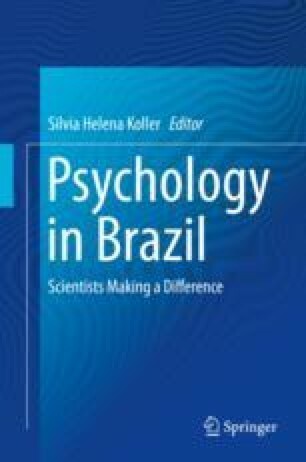 Brazil was a pioneer in the recognition of psychology as a profession, although a research-supported education occurred more slowly. My career developed in the period between the pioneering effort of the first Brazilian psychologists from the first half of the twentieth century and the new generation of highly qualified professionals and researchers from the beginning of the twenty-first century, forged in postgraduate studies. I could describe my career as being direct to help consolidate postgraduate studies in the last three decades of the twentieth century. My interest was to increase the publication of journals according to international scientific standards, to insist on indexing of national journals, and to reinvigorate the study of the history of psychology, considering its philosophical and cultural influences. In research, I looked at a combined and reversible interplay between qualities and quantities, guided by four logics: abduction (the power of creativity), induction (the exercise of invention), deduction (the rigor of analyses), and adduction (the critical necessity).